The aim of this work is to simulate the cracking in concrete structures by means of two approaches: smeared crack and discrete approaches. Two case studies were analyzed: a beam with ordinary reinforcement and a dapped-end beam modeled by three-dimensional finite elements. Firstly, the smeared crack approach was used to locate the cracking zone in both case studies. Subsequently, to simulate the crack width, the discrete crack approach was used by applying a cohesive zone model making use of a function that represents the crack opening. The obtained results were validated with experimental results. This investigation provides the efficiency and application of the two approaches to estimate crack appearance and width for reinforced concrete structures. Bažant, Z. P., & Lin, F. (1988). Nonlocal smeared cracking model for concrete fracture. Journal of Engineering Mechanics. ASCE, 114(11), 2493-2510. Bažant, Z. P., & Oh, B. H. (1983). Crack band theory for fracture of concrete. Materials and Structures. RILEM, 155-177. Cornelissen, H., Hordijk, D., & Reinhardt, H. W. (1986). Experimental determination of crack softening characteristics of normal weight and lightweight concrete. HERON, 31(2), 45-56. Eurocode 2 (2007). Calcul des Structures en béton, NF-EN-1992. Gálvez, J. C., & Cendón, D. A. (2002). Simulación de la fractura del hormigón en modo mixto. Revista Internacional de Métodos Numéricos para cálculo y Diseño en Ingeniería, 18(1), 31-58. Gopalaratnam, S., & Shah, S. (1985). Softening response of plain concrete in direct tension. 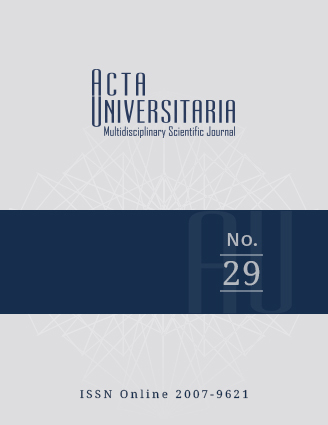 Structural Journal, ACI, 82, 310-323. Hild, F., Roux, S. Bernard, D., Hauss, G., & Rebai, M. (2013). On the use of 3D images and 3D displacement measurements for the analysis of damage mechanics in concrete-like materials, in: Conference proceeding, plenary lecture, FraMCoS-8. Hillerborg, A., Modéer, P. E., & Petersson, P. E. (1976). Analysis of crack formation and crack growth in concrete by means of fracture mechanics and finite elements. Cement and Concrete Res. 6(6), 773-782. Kobayashi, A. S., Hawkins, M. N., Barker, D. B., & Liaw B. M. (1985). Fracture process zone of concrete, in: S.P. Shah (Ed.) Application of Fracture Mechanics to Cementitious Composites, Martinus Nijhoff Publ., Dordrecht, 25-50. Mosalam, K.M., & Paulino, G. H. (1997). Evolutionary characteristic length method for smeared cracking finite element models. Finite Element in Analysis and Design, 27, 99-108. Nilson, A. H. (1982). State-of-the-art report-finite element analysis of reinforcement concrete. ASCE 114 (11), 2493-2510. Padmarajaiah, S. K., & Ramaswamy, A. (2002). A finite element assessment of flexural strength of prestressed concrete beams with fiber reinforcement. Cement and Concrete Composites, 24, 229-241. Planas, J., & Elice, M. (1986). Towards a measure of GF: An analysis of experimental results. Fracture Toughness and Fracture Energy of Concrete, F.H. Wittmann (Ed. ), Elsevier, 381-390. Polak, M. A. & Vecchio, F. (1993). Nonlinear analysis of reinforced concrete shell, Journal of Structural Engineering, 119(2), pp. 3439-3462. Prestressed Concrete Institute (1999). “PCI Design Handbook”. Sixfth Edition, Chicago, Illinois, pp. 4-79~4-83. Rashid, Y.R, (1968). Analysis of prestressed concrete pressure vessels, Nuclear Engineering and Design, 29 (4), 334-344. Reinhardt, H. W. (1984). Fracture mechanics of an elastic softening material like concrete, Heron, 29(2). Shah, S. & Choi, S. (1998). Nondestructive techniques for studying fracture processes in concrete. International Journal of Fracture, 98, 351-359. Vandewalle, L. (2000). Cracking behavior of concrete beams reinforced with a combination of ordinary reinforcement and steel fibers, 33, 164-170. William, K. J., & Warnke E. D. (1975). Constitutive model for the Triaxial Behavior of Concrete. Proceedings, International Association for Bridge and Structural Engineering, 19, 174. Zienkiewicz, O. C., & Zhu J. Z. (1992). The superconvergent patch recovery and a posteriori error estimates. Part 1: the recovery technique, International Journal for Numerical Methods in Engineering, 33, 1331-1364.